The Soft Coated Wheaten Terrier hails from Ireland, and much of their early history wasn’t recorded. They probably share their ancestors with the Kerry Blue Terrier and the Irish Terrier. The terriers in Ireland were the poor man’s dog, dogs who could rid the farm of vermin, do a little hunting, and help guard the property from both animals or humans. One way of knowing they were working dogs was that they had docked tails which made them exempt from tax on dogs. The Soft Coated Wheaten was recognized by the Irish Kennel Club in 1937 on St. Patrick’s Day and arrived in the U.S. in 1946 where it has gained popularity. 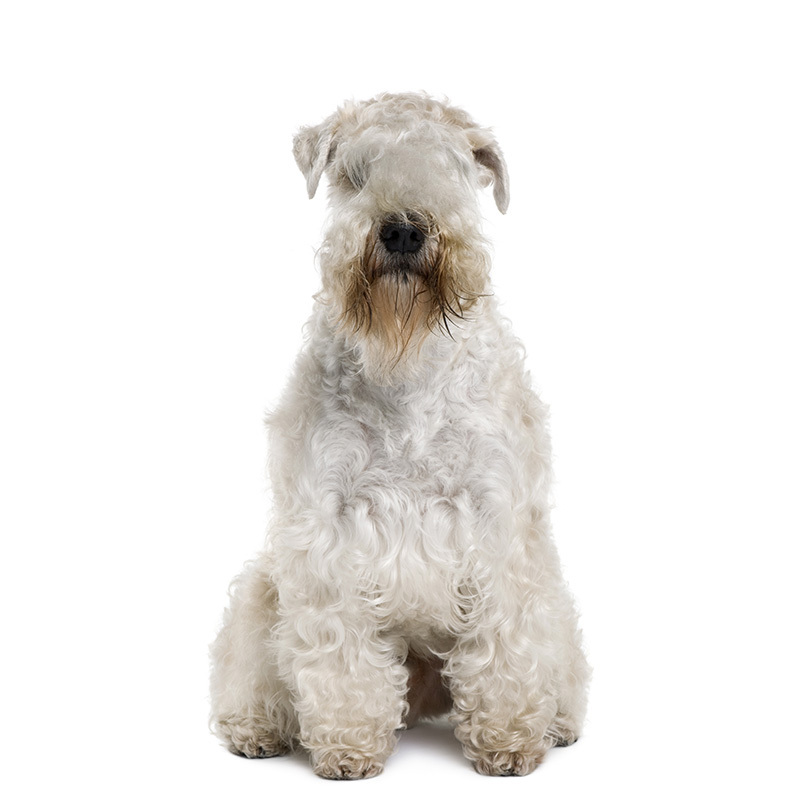 The Soft Coated Wheaten Terrier is happy, self-confident, spirited and friendly. They are a good watchdog but are more bark than bite. They bond closely with their family and love children and get along well with other animals, especially if they were raised with them. These dogs are sweet-tempered, docile, and intelligent. They usually have a puppy attitude throughout their lives. They are highly intelligent and grasp what’s required of them quickly; however, they could easily take over the home and be hard to control if you’re not firm. It's best to be calm, and consistent in your training. Due to their roots, they’ll also chase any small, furry creature that crosses their path. According to owners of this breed, they say the Soft Coated Wheaten retain their happy puppy-like exuberance throughout their lives. Wheatens usually weigh between 35 to 40 pounds and stand approximately 17 to 19 inches tall. They are a medium-sized dog and are compact and squarely proportioned. They have a single coat of hair which makes them light shedders. Their hair covers their entire body in gentle waves, with a fall of hair over the eyes. The color of their coat is any shade of wheaten.